The homepage for Gigabye.com is not very accurate about the amount of eDRAM. The version for Great Britain says 128 MB (see http://uk.gigabyte.com/press-center/news-page.aspx... and the same announcement on the Danish page says 64 MB ( http://www.gigabyte.dk/media/13441 ). It looks like my comment from a few days ago didn't get posted. I currently have a desktop computer and a small NAS box. Something like this could combine both while drastically reducing physical space and power consumption. Noise wouldn't be as critical as in a HTPC, provided it didn't make a lot of noise while performing light tasks, such as web browsing, e-mail, word processing, etc., which is the bulk of what I would do with it. I don't use my desktop PC very intensively, but there are times when I absolutely need to have it around, and being able to do more than just light tasks is definitely a plus. I'd look into using Windows 8.1 Pro under the included Hyper-V in combination with Linux or a second copy of Windows, with one VM for personal use and the other for the NAS side. Is the noise really a huge issue I wonder, for HTPC use? Thermal performance under combined Prime95 and FurMark load is not very relevant, I think. You just KNOW that these units are not going to have the best cooling. The question is: will the cooling suffice for everyday (non-OC) usage? I strongly believe it will. Shame there's no micro format for graphics cards. I thought mITX would be a nice size reduction for my new system, but these NUC/BRIX form factor boxes are so much smaller than even the most compact mITX system. 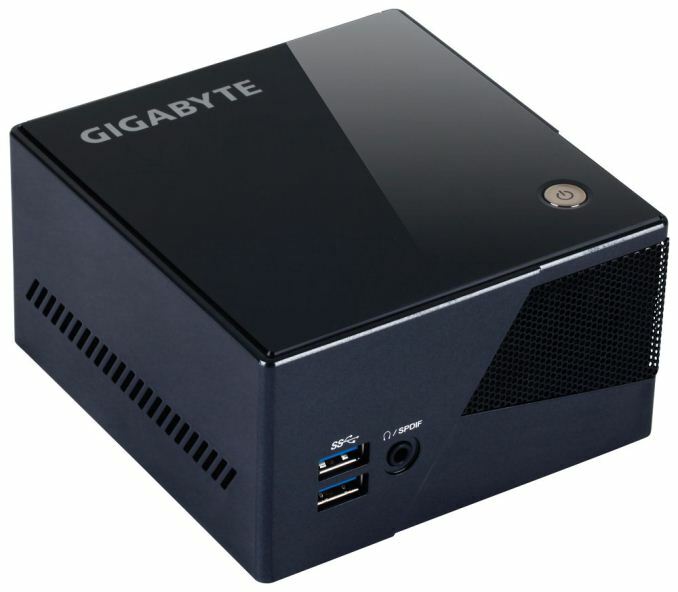 If only there were system builder versions of these tiny pcs, especially with a mini GPU option, such as the mobile GPUs that come on gaming laptops.